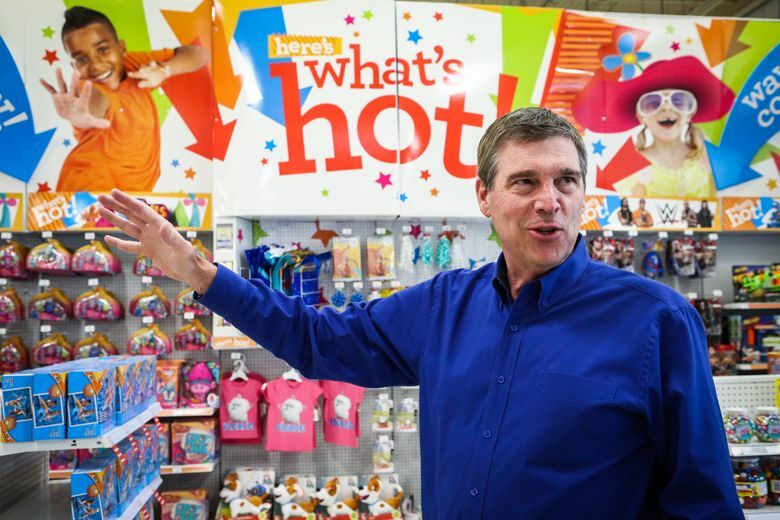 Toys R Us CEO Dave Brandon has no easy task rejuvenating the big-box pioneer. How well his strategy works may say a lot about the future of specialty retailing amid competition from Amazon and shoppers’ abandonment of suburban malls. 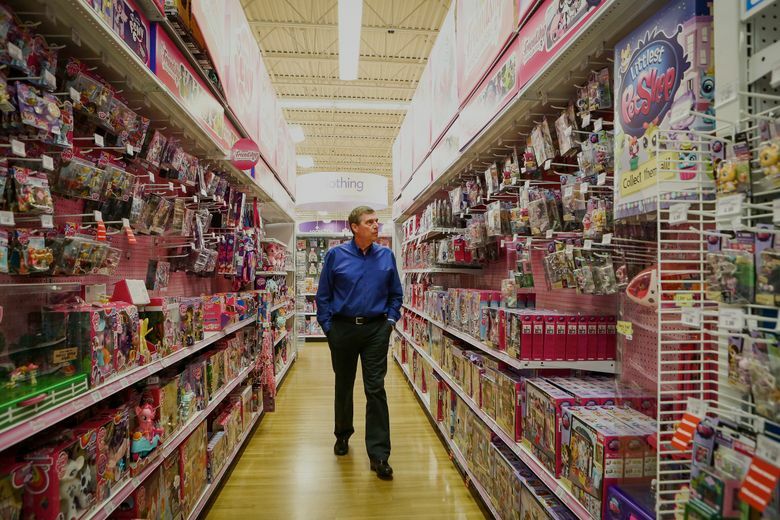 Dave Brandon has been inside a Toys R Us in Secaucus, N.J., for all of five minutes before he spots a problem. At the entrance, there’s a display of small cardboard bins filled with $1 playthings that look messy, and even worse — cheap. In the Star Wars section nearby, a Chewbacca chair has tumbled over into the aisle. The 64-year-old CEO grabs it and turns it right-side up. Founded: 1948 in Washington, D.C. Dressed in black pants and a blue long-sleeve shirt — a deliberate attempt to connect with store workers by wearing their uniform — Brandon then walks through a display of Pokémon toys, snapping pictures of empty shelves with his iPhone that he’ll send to one of his executives. It’s Friday afternoon before the crucial weekend rush. There hasn’t been much to smile about at Toys R Us. More than a decade after a $7.5 billion leveraged buyout by Bain Capital, KKR & Co. and Vornado Realty Trust, the retailer remains saddled with annual interest payments approaching $500 million and no clear path for its owners to exit the investment. The company registered for an initial public offering in 2010, only to withdraw it a few years later. Since the buyout, Amazon.com — which once ran the Toys R Us website until the two companies’ partnership failed in 2006 — has become a powerful competitor. And shoppers are abandoning the suburban malls that helped make the big-box pioneer one of the most dominant retailers of the 1980s and 1990s. Brandon, who oversaw a turnaround at Domino’s Pizza last decade, knows he has no easy task. For years, the Wayne, N.J.-based toy chain has bought time by refinancing its debt, which now totals about $5 billion. It did so again last month with a swap that pushed out maturities on notes due in 2017 and 2018 by five years. While Brandon’s first year has brought signs of progress, with holiday sales gaining for the first time in four years, the debt deal wasn’t necessarily a full vote of confidence because many investors had bought the bonds at distressed levels and made a profit. But it did buy Brandon more time — probably the next two Christmas seasons — to turn the company around. How well Brandon’s strategy works may say a lot about the future of specialty retailing. If any big-box chain can transform itself into an experiential destination, it’s Toys R Us. The retailer has a huge inherent advantage — kids already love the place. It will be a massive undertaking. The company has almost 600 stores in the U.S. and 700 more overseas. It still racks up almost $12 billion in annual sales — about 10 percent from the internet — and employs 62,000 workers. The retailer generates more revenue than Under Armour, Lululemon Athletica and Chipotle Mexican Grill combined. Brandon’s plan is under way in the run-up to the holiday season, when the retailer generates 40 percent of its revenue and all its operating income. Whether it’s letting shoppers fly drones or take target practice with a Nerf blaster, all the changes Toys R Us is implementing or considering recall an era when retail was more theater than science. Apple is doing it well today, and Brandon says Toys R Us can do the same. The company is also testing video screens, sound effects and colorful motion-sensor lights, and unboxing more toys in play areas. It’s also hosting more events, such as Pokémon trading and birthday celebrations. Toys R Us is also doing more to highlight major brands. Mattel’s American Girl will have its own department with dedicated staff. The chain is revamping how it treats Barbie, Mattel’s biggest line, by putting everything it sells for the brand in one place. 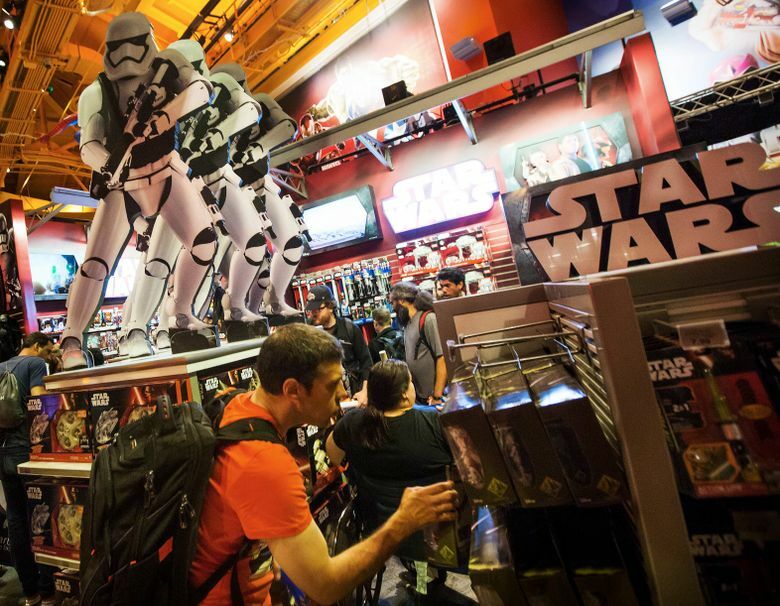 The retailer used a similar strategy last Christmas for Star Wars. Cash has been a concern since the 2005 buyout, making it harder for Toys R Us to invest in its stores. Brandon says the retailer has the resources it needs and will keep capital expenditures where they’ve been, at about $250 million a year. In addition to the debt swap, Toys R Us is working with lenders on refinancing $725 million in real-estate-backed debt due in December 2017. The company has bought itself about 20 months before it needs to have a plan in place for $1.2 billion in loans due in 2019, according to Noel Hebert, a senior U.S. credit analyst at Bloomberg Intelligence. Brandon has been in a similar spot before. In 1999, he became CEO of debt-laden Domino’s, which had recently been acquired by Bain for about $900 million. In an 11-year reign, he took the company public after boosting sales and profit, and led a bold and successful marketing campaign in 2009 that admitted that Domino’s pizza tasted awful. The company, where Brandon remains chairman, has a market value of $7 billion. Now Bain Capital has turned to Brandon once again. Joining Toys R Us returns the executive to running a large company and gives him a chance at redemption after a rocky tenure in his most-recent stint. In the early 1970s, Brandon played on the defensive line for the University of Michigan football team under legendary football coach Bo Schembechler. It was Schembechler who then served as a reference for Brandon when he landed a job after graduation at Procter & Gamble. After Domino’s, he returned to his alma mater as athletic director in 2010. In one of the few setbacks of his career, Brandon resigned less than four years later amid a string of bad publicity, including raising student ticket prices. At Toys R Us, Brandon’s growth plan includes obvious strategies like boosting online sales, which hit $1.3 billion last year. He also wants to open more stores. And not just in a fast-growing economy like China, but also in the U.S. with smaller locations — some about a quarter the size of a typical 40,000-square-foot unit — designed for New York and other cities it abandoned over high rent. So far, the chain’s suppliers are on board, says Isaac Larian, the CEO and founder of toymaker MGA Entertainment. Early on, Brandon made the rounds visiting manufacturers and impressed Larian with a willingness to hear the unvarnished truth about the retailer. Toymakers, of course, have every reason to be rooting for him. The nightmare scenario is that if Toys R Us fails, MGA and larger competitors like Mattel and Hasbro would be left at the mercy of mass merchants like Wal-Mart and Amazon, which drive down prices. Bloomberg reporter Jodi Xu Klein contributed to this report.